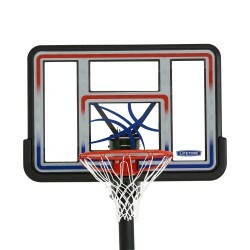 Got skills? 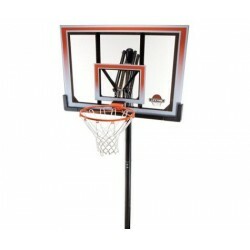 Perfect your game with your own Competition Basketball Hoop (In Ground). Play any time, all the time. 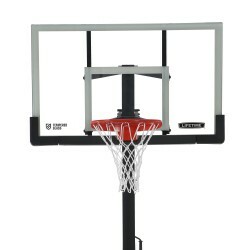 This basketball hoop (in ground) comes with a 54 in. 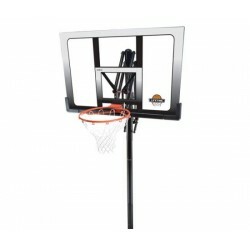 acrylic backboard and a Slam-It Pro Rim with spring-back action. 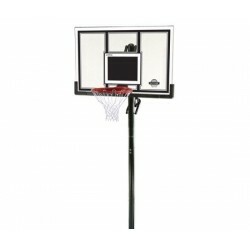 You’ll appreciate the Lifetime Power Lift feature which allows you to easily adjust the height of the backboard with just a squeeze of the handle. 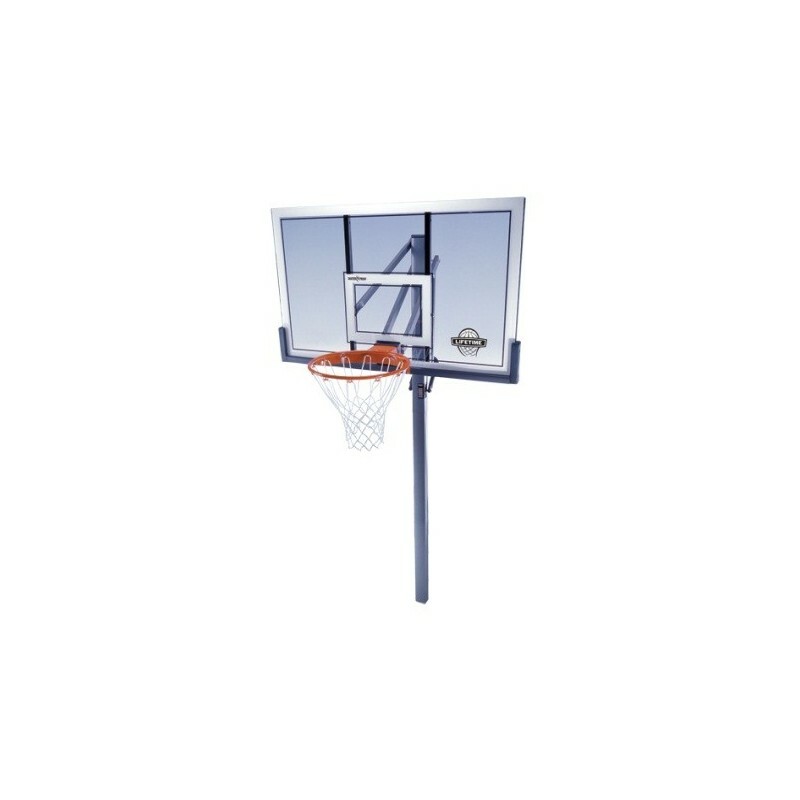 The Competition Basketball Hoop (in ground) is made of top quality construction and innovative design so you get the most out of your game and your investment. 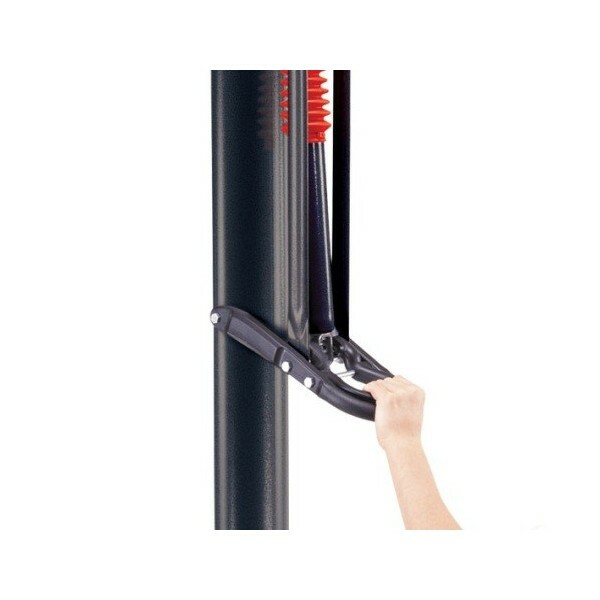 UV protection and powder-coated steel provide weather resistance to discoloration and rusting. 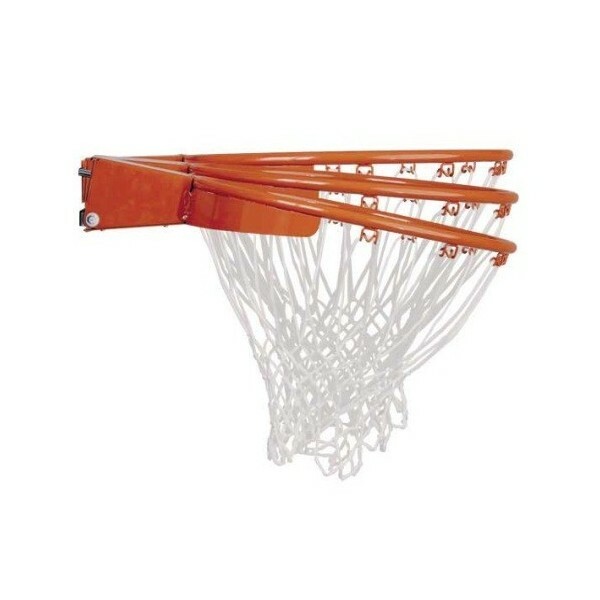 This hoop will endure harsh outdoor elements and your power-packed slam dunks for many, many years! Major components made in the USA. 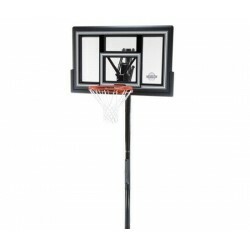 Covered by a 5 yr. limited lifetime warranty in US and Canada. 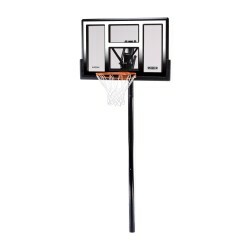 Power Lift uses a pneumatic mechanism which allows for effortless adjustments of the backboard from 7.5 to 10 ft (2 m to 3 m) with just a squeeze of the handle. 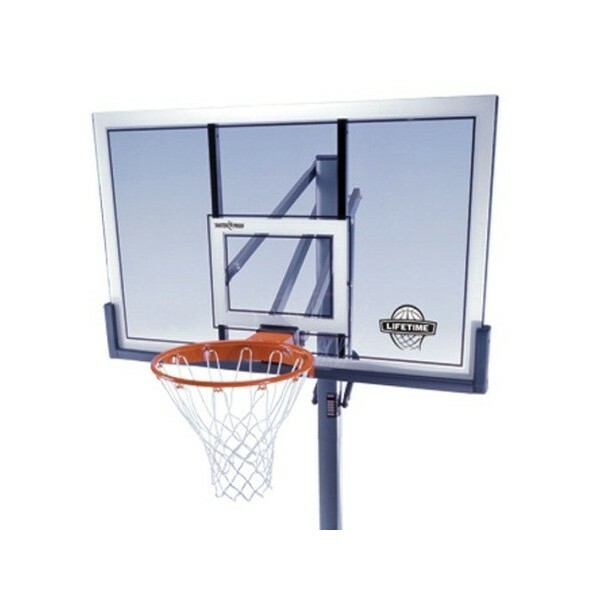 At its highest point the handle is 78 inches (1.9 m) from the ground, which is with the backboard at its lowest setting. 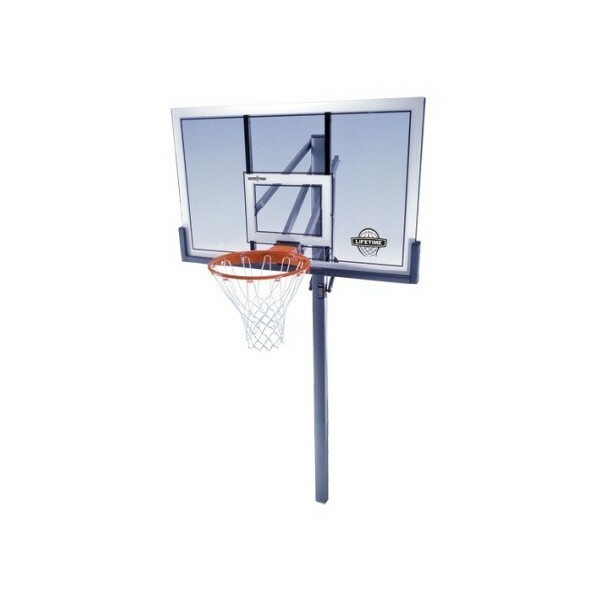 When it comes to easy-to-lift backboards, here is a shatter proof backboard that not only won’t break, but won’t break your back--thanks to its amazing one-hand height adjustment feature. FREE Fast Shipping!